On first encountering the eponymous Eleanor, she seems embarrassingly eccentric - in short, someone you would not invite to lunch or tea. In the first chapter, she is telling a doctor her backache may be caused by the weight of her breasts. She also seems utterly tactless, telling an old man later that she assumed he was single and childless. 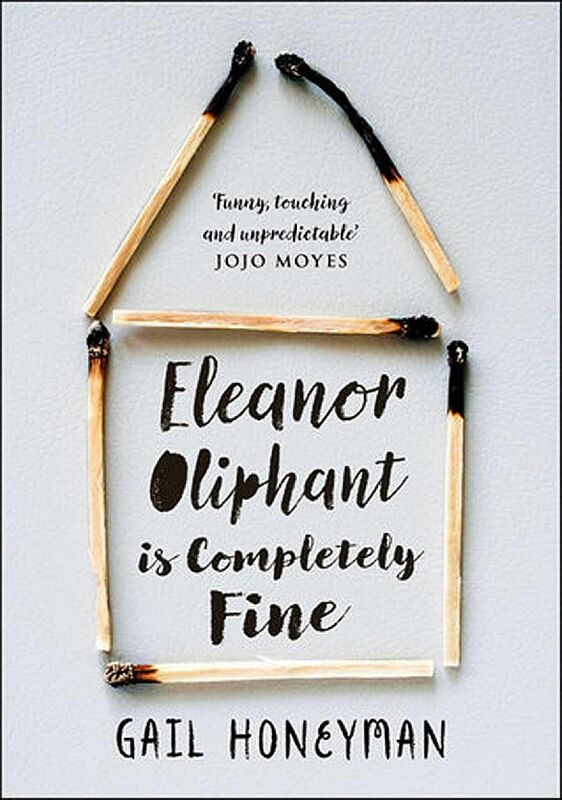 Is Eleanor Oliphant - what kind of name is this? - someone I want to spend 393 pages with? The answer, surprisingly, is yes. This is a hilarious and poignant character study and marks the debut of Scotland-based author Gail Honeyman, who is in her 40s. Eleanor is 31, a holder of a degree in classics and a dead-end accounts job at a graphic design firm. She sticks to a routine designed to minimise human contact - she lunches alone, scoots off quickly from work and spends weekends home alone. Hilarity ensues when her almost airless existence is threatened by two men - Johnnie Rivers, a musician she has a crush on, and Raymond, a kind but paunchy IT guy. Despite my initial misgivings about the heroine, she grows on me as an outsider blessed with a fine wit and an even finer vocabulary. She thinks nothing of using words or phrases such as comestibles, masticators and hors de combat in daily speech and so hates short forms that she declares: "LOL could go and take a running jump." Visiting a fast-food restaurant for the first time, the anthropologist in her wonders why people would line up to order processed food, carry it to a table and eat it, with their hands, from paper. Elsewhere, she notes how graphic artists in her firm all sport sharp haircuts and nerdy glasses, despite wanting to be seen as "freethinkers with unique ideas"; or how those who love to wear sports apparel are usually the least sporty. Clueless about shopping, she is the source of much amusement when she goes to a Bobbi Brown cosmetics counter asking for "Bobbi". She takes a dig at herself after a makeover: "I look like a small Madagascan primate, or perhaps a Canadian raccoon. It's charming!" Jokes aside, Honeyman's novel feels relevant as it looks at the issue of loneliness, which is no laughing matter, but a modern-day epidemic. The book speaks to me as a singleton in my 30s who yearns for deep bonds, but like Eleanor, would often retreat into my own shell. There is a dark side to Eleanor's social ineptitude, though. She is not quite fine, as Honeyman hints. One clue is Eleanor's houseplant, Polly - which has survived "the rough treatment in foster placements and children's homes". A quibble here is that Eleanor is such a dazzling creation that she makes the other characters look like dullards. Also, near the end, the book takes a wild turn and looks as if it may follow in the tragic footsteps of Hanya Yanagihara's A Little Life (2015). A twist is thrown in, too, to add to the chaos. Without giving the ending away, one thing to take away is to be kind to everyone you meet, no matter how annoying they seem, as there is no knowing if he or she is fine. If you like this, read: The Rosie Project by Graeme Simsion (2014, Penguin, Books Kinokuniya, $17.66), a warm and funny debut novel about an autistic professor's quest to find a wife.